It’s too soon to put up your Christmas tree, but it’s not too early to get into the holiday spirit! 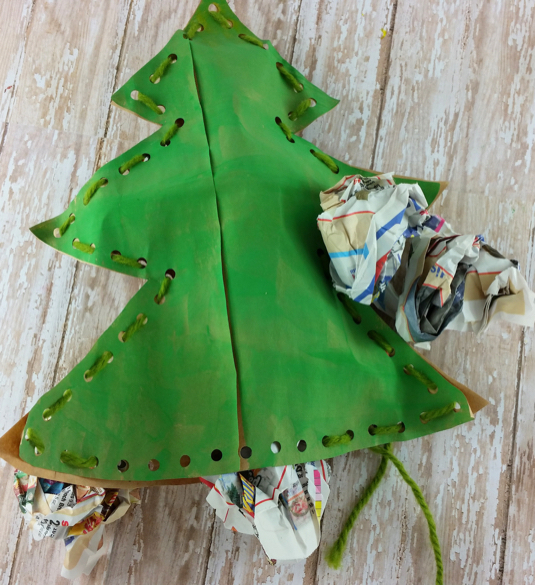 This stuffed Christmas Tree is a perfect craft for elementary aged children. Younger children can also have fun making this craft with the help of larger hands. 1. Cut down the folded sides of the paper bag and the bottom, so you have two pieces. 2. Using a pencil, trace an outline of the tree. 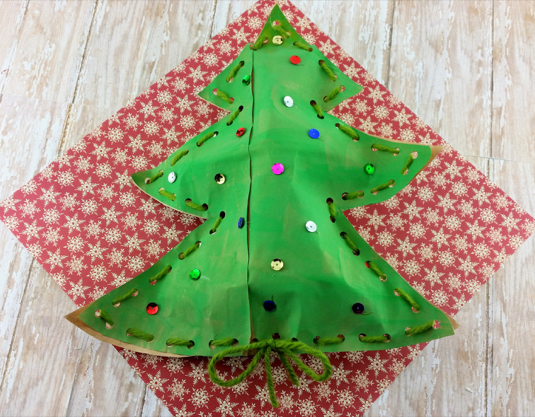 If you want to make multiple trees, make a pattern out of heavy cardstock or a manilla folder to make the process a little faster. 3. Holding both pieces of paper together, cut out the tree shape. 4. 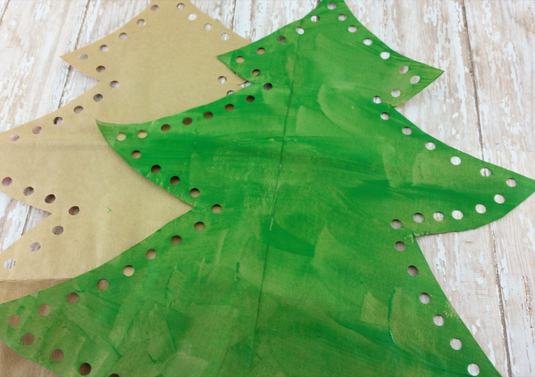 Use the hole punch starting at the top to create holes along the entire border. 5. Cut a piece of yarn long enough to thread through the holes and have enough to tie a bow if desired. 6. Starting at the top, begin threading the yarn though by pulling it halfway through on the first hole, so you have an even amount for each side. You could also use a plastic needle for this step. 7. Once you reach the bottom, stuff the tree with newspaper and tie the yarn into a simple bow (trim ends if necessary). 8. 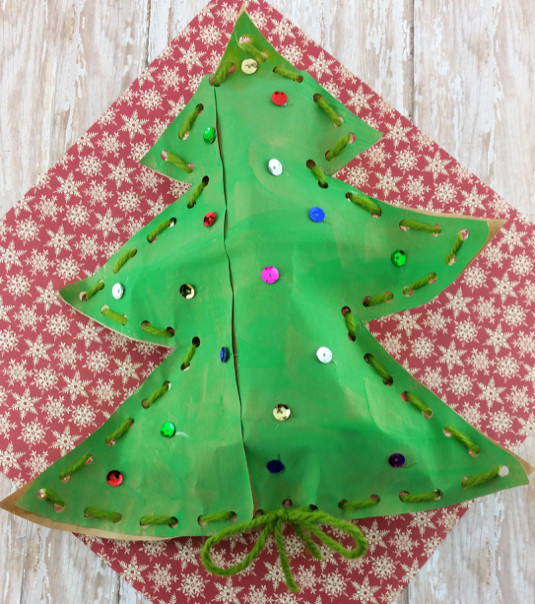 To finish, decorate the tree using sequins and hot glue.